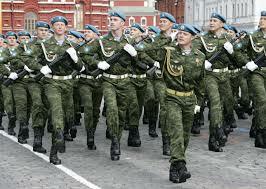 Moscow signs military co-operation pact with CAR – Royal Times of Nigeria. 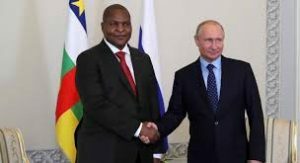 The Central African Republic (CAR) has signed a military co-operation agreement with Russia, deepening relations less than a month after three Russian journalists were killed in the African nation. Speaking after a signing ceremony in Moscow with his CAR counterpart Marie-Noelle Koyara, Russian Defence Minister Sergei Shoigu said the deal will help strengthen ties in the defence sphere. A UN arms embargo on CAR was lifted for Russia in 2017. Russia delivered light arms to the Central African Republic’s security forces earlier this year and said it had deployed 175 military and civilian instructors to train them. The Russian journalists who were killed were investigating Russian mercenaries alleged to be active in CAR. Russian and CAR authorities labelled the killing as a robbery, but exiled former tycoon Mikhail Khodorkovsky, who was funding the journalists’ investigation, said the argument did “not stand up to scrutiny”.